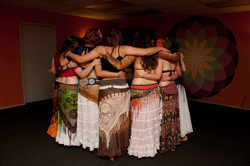 We are so excited to be the fiscal sponsor of JamBallah NW, Portland's very own belly dance festival! All Ages/Genders/Levels Welcome! Experience Mentorship Through Movement, whatever your age may be! See what makes The Marissa Mission an amazingly transformational program for young people. We will utilize story-telling through dance, partner yoga, and journaling as tools for creating real connections with others. We strive to create a nourishing and playful environment where we can encourage strong leaders, community and the chance to know ourselves more. Utilizing dance as an act of service- Have you ever asked yourself why you dance? What is truly at the root of your expression? We suspect that there is something deeper than your next costume or gig. Dance can be a powerful vehicle for social change, and we as dancers have many ways we can interact with our communities and support the causes we feel drawn to. We will write our personal mission statements, engage in discussion, and dance together using the Marissa Mission's signature ITS style.